It is diocesan policy that the celebration of the Sacraments of Reconciliation and Eucharist be held during the second grade of school. A preparation program for parents and children is to be part of the Religious Education Program of the Parish. 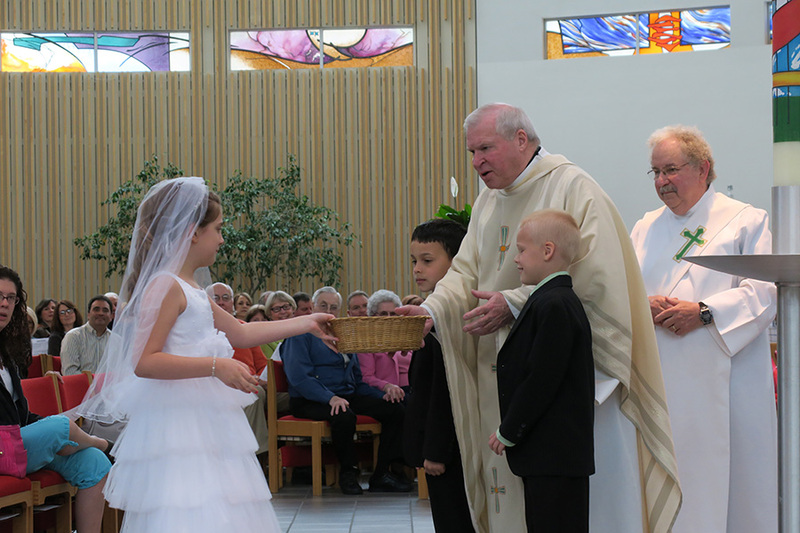 At St. Michael we celebrate Family First Communions. 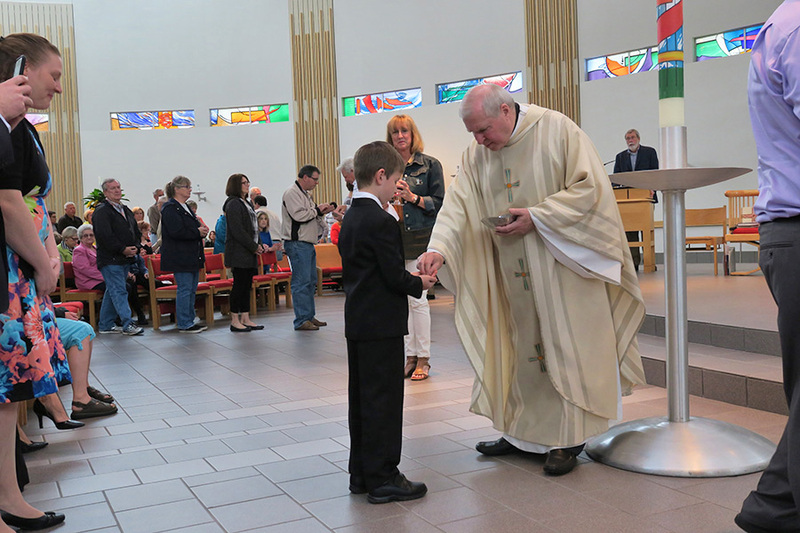 Rather than have a large group 1st Communion Mass, families are able to schedule a weekend Mass in the springtime and their children can receive Eucharist for the first time with their families and the community, individually or in small groups. 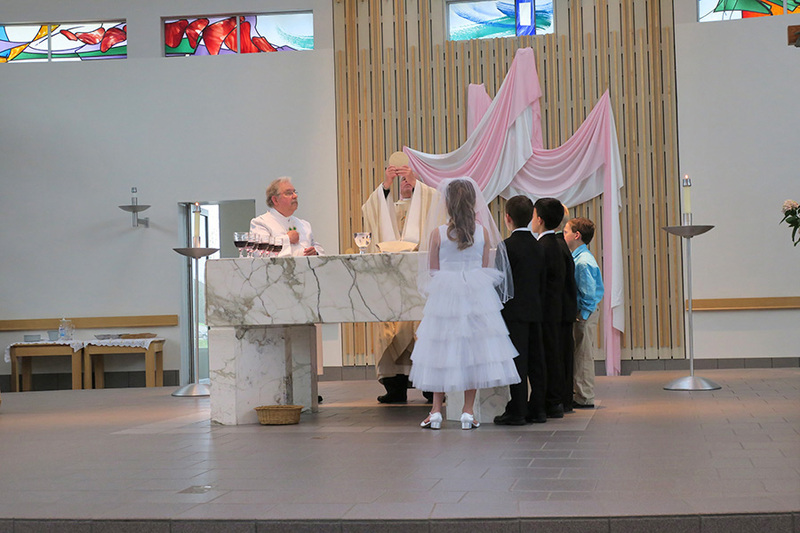 It is assumed that parents, and children preparing to celebrate the sacraments for the first time, are regularly attending Mass, are active members in the Religious Education Program of the parish, and will continue to be active beyond the second grade year. Those children who did not attend any religious education program in the first grade will be given an opportunity to review the curriculum for that year. For further information, please contact the rectory at 330-492-3119.